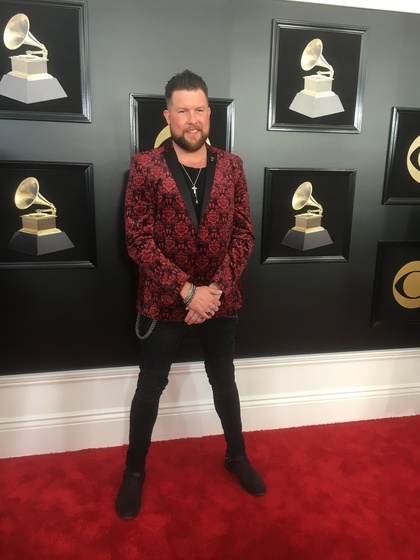 Provident Label Group/Sony Music proudly announces that Zach Williams received his first GRAMMY Award during yesterday’s 60th Annual GRAMMY Awards Premiere Ceremony in New York. Williams won for Best Contemporary Christian Music Album for Chain Breaker, his debut album release. Reflecting about his win, Williams shares, “I’m blown away and completely shocked. I’m a huge fan of everyone in the category and honored to win. But without God none of this would be possible.” Leading up to the awards ceremony, Williams was also one of the featured artists in the New York Times’ GRAMMYs feature. View the article here. Now with a GRAMMY Award, Williams’ 2018 kicked off to a great start as well when his debut radio single, “Chain Breaker,” officially achieved official RIAA gold certification. The single, holding at No. 1 for 15 weeks, was followed by “Old Church Choir,” which became the most successful Christian radio single in over a decade when it held the top spot at radio for 20 weeks, making it the second longest running No. 1 single in Billboard’s Christian radio history. Williams also made history as the first debut artist to have two back-to-back No. 1 singles. Williams newest single to hit radio, “Fear Is a Liar,” also just debuted his newest music video for the song, which can be viewed below. Williams is part of The Roadshow Tour, which kicks off on February 16 in Charlottesville, VA. For the official tour dates please visit the tour page. He will headline his own tour later spring, and more details will follow.